RYAN WATERS grew up exploring the hills of the Appalachian Mountains in the southeastern U.S. At the age of 18 he discovered climbing and a passion for travel that would eventually lead him to the great mountain ranges of the world. After working as a geologist for several years he began a career as an outdoor educator and mountain guide. A 2003 trip to climb 7,200 meter Pumo Ri in Nepal led to extensive climbing and guiding work in the Himalayas of Nepal and Tibet as well as the Karakoram Range in Pakistan. Ryan is a veteran of ten 8000 meter peak expeditions, including three expeditions to Mt. Everest, reaching the summit of both the Tibet and Nepal sides of the mountain. He has also led expeditions to Cho Oyu (3 times), K2, Broad Peak, Gasherbrum 2, and Lhotse. Ryan developed a passion for the Andes Range of South America and was based in Argentina for several years. Over the past ten years he has led over 35 expeditions in the mountains of Chile, Argentina and Ecuador. Ryan spent extensive time in the backcountry of South America working as a mountaineering instructor for Patagonia Outward Bound. Throughout the past decade, Ryan has had the pleasure of working for several leading guiding organizations. This enabled him to build a strong background in expedition planning, organization, technical and leadership skills in many diverse locations around the world. 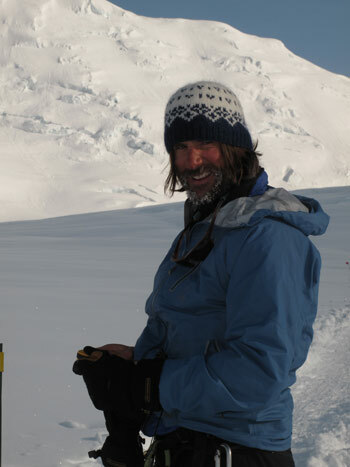 In 2005 he launched the expedition guide service Mountain Professionals with Dave Elmore, which guides mountain climbing, trekking, and polar expeditions worldwide. The company focuses on delivering high quality expeditions to small teams of adventurers. A team unsupported West to East ski traverse of Greenland expanded his interests into the polar regions. Several future projects are focused in Antarctica and the Arctic. In January 2010, Ryan and Cecilie Skog completed a "nice long ski tour" in Antarctica. The team skied 1,117 miles/1,800 kilometers over 70 days from Berkner Island in the Ronne/Filchner Sea to the South Pole, then continued to the Ross Sea and set a new record by completing the first ski traverse of Antarctica without resupplies or the use of kites. He guides small teams on mountain climbing and polar trips for Mountain Professionals and enjoys photographing and writing about his adventures around the world. No portion of this site may be reproduced without the express written consent of Ryan Waters. © 2009 Ryan Waters. All Rights Reserved.